A to-do list can be a great way of ensuring you’re making progress — but it’ll only serve that purpose if its set up correctly. Building a to-do list inside OneNote offers a host of advantages over pen and paper. Use these tips to make an actionable list that makes sure the important things in life get done on time. It’s easier to stick to a to-do list when you have the option of ticking off completed tasks — it’s not just helpful in an organizational sense, it’s a very satisfying way of quantifying just how much you’ve accomplished. OneNote makes this easy, with a simple keyboard shortcut that can make a checkbox for any purpose. Just highlight some text and press Ctrl + 1 to pair it with a checkbox. You can combine this shortcut with some others, too — Ctrl + 2 adds a star, while Ctrl + . starts a bulleted list. Using these three shortcuts in conjunction with one another, it’s quick and easy to set up a detailed checklist for a particular task on the fly. A disorganized hard drive can result in wasted time when you’re working on the computer. However, OneNote 2013 features the software’s broadest support thus far for embedding files directly into your notes. This is great if you want to use mixed media for your note-taking, but it can also be used to get you straight into tackling your to-do list rather than searching for a missing document. Whether it’s a PDF you’ve been meaning to proofread or a video file that needs to be edited down, just drag and drop it onto a page in OneNote and you can add a link to its location on your hard drive. Be sure to open the original document via the respective right-click option. Changes made on your hard drive won’t sync to the document embedded in OneNote. OneNote is useful as a standalone program, but it really comes into its own when you use it in conjunction with the rest of the Office suite. The ability to import Excel spreadsheets and PowerPoint presentations can help out with certain tasks, but if you’re looking to set up a to-do list, OneNote’s links with Outlook are going to be of most use. If you’re at an appointment you had scheduled in Outlook, you can use the intertwined Office suite to create an actionable OneNote to-do list based on what you find in the meetings. Better yet, it works both ways — you can use OneNote to schedule dated entries for time-sensitive tasks via your Windows Calendar. The standard OneNote view does a great job of presenting easy access to your various notebooks without overloading you with information. That said, for maintaining a to-do list, a full-screen display isn’t always the best use of space. Instead, head to the View tab and see what else is on offer. If your to-do list is restricted to just one page, you can click New Docked Window while that page is open, to temporarily separate it from your notebook and allow it to take precedence over a certain amount of your display. This can be useful if you’re working on a task in another application, but still want to keep the bigger picture in mind as you do so — it can also be a good way to make sure you stay on task if you’re easily distracted. Customizing your view like this allows you to take advantage of Linked Notes. 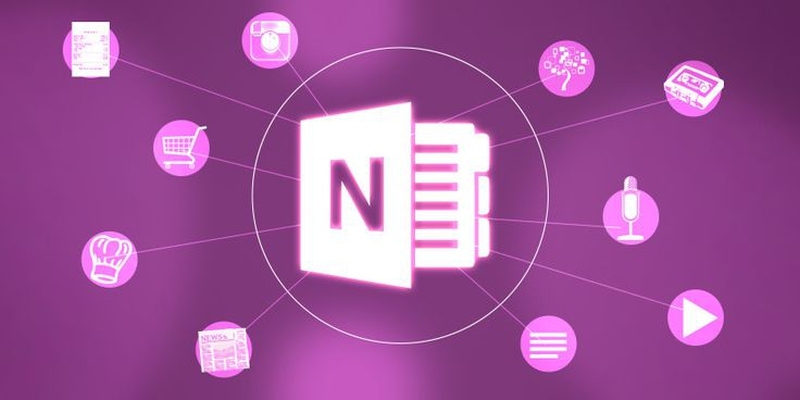 OneNote automatically supplements any notes that you take while it’s docked with a link to the Office document or web page that you were looking at while you made the entry. To make sure that this functionality is enabled, click the link icon at the top of the docked OneNote window and browse through Linked Note Options. The problem with a physical to-do list is that it takes up space. Whether it’s in a bag or your pocket, it’s yet another thing to keep on your person — and the alternative of a full list at home, and a myriad of scribbled notes waiting to be added to it once you and it are reunited isn’t much better. In the digital age, there’s no reason to make such a compromise unless you prefer pen and paper. As part of an increasing push for device agnosticism with Windows 10, Microsoft offers versions of OneNote for all major platforms. That means as long as you have a smartphone to hand, you can access your to-do list, whether you’re using a Windows Phone or an iOS device. There’s even a web-based version for when you find yourself in need of your notes while using an unfamiliar computer. Take advantage of this easy access by adding tasks to your to-do list as and when they come to mind. Get the gist down before you forget it, and worry about refining it later on. If it’s easier, just take an audio recording rather than typing it out — you’ll be able to use OneNote’s powerful search functionality to find the entry you’re looking for just as easily as you would with a few sentences of plain text. Server responsed at: 04/18/2019 2:41 p.m.